Raphael’s love affair with the mountains started with downhill skiing, first in the Tatra Mountains in Poland and later in the Canadian Rockies. Gradually skiing gave way to the less scripted adventures of mountaineering. Sometime after he started climbing, Raphael discovered he had a facility for ice climbing – or maybe it was just that he was more willing to suffer than other, more reasonable people. Looking to have even more fun with ice tools, Raphael was fortunate to get into mixed climbing just as that previously obscure activity was undergoing a real revolution. 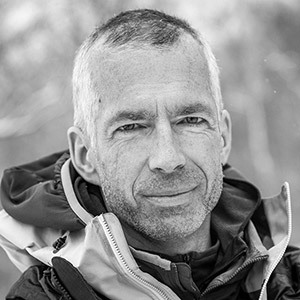 However, after a few years’ fascination with technical difficulty, he found a renewed passion for the mountains. Around the same time, Raphael started venturing beyond the Canadian Rockies, first to Alaska and then to the Karakoram. In the high mountains of Pakistan he discovered a whole new side to alpinism – that of hard climbing at high altitudes. This discovery didn’t mean he gave up other forms of climbing, but it’s made the entire experience even richer. Raphael hopes to keep pushing himself and having fun, from the boulders to the Himalaya, for many years to come. You can check out all things Raphael at his blog by clicking here! Raphael is being sent to Michigan Ice by our Silver Sponsor Arc Teryx!